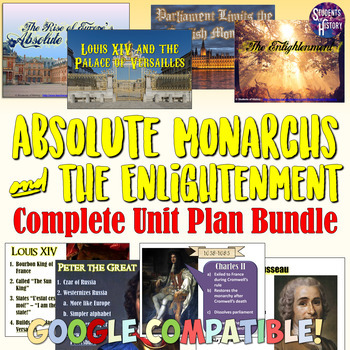 This download includes two complete units for World History on Europe's Absolute Monarchs and the Age of Enlightenment! 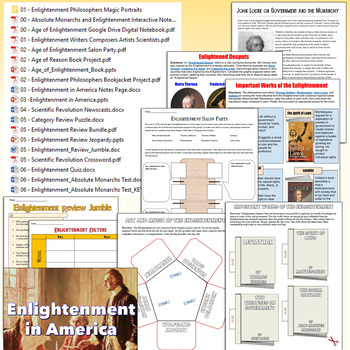 Your download includes over 30 wonderful, interactive resources that align with the Common Core and engage students! 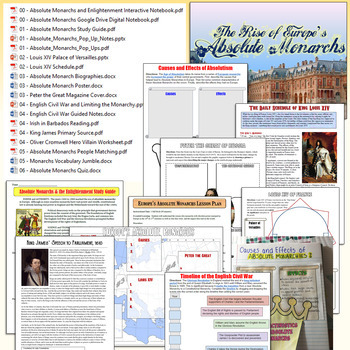 This download also includes a detailed study guide, editable test (with answer key), a set of biographies on monarchs, a poster and magazine project, Jeopardy-style review game and more! PLUS you also get lesson plans for every day! Each lesson includes simple steps on how to use each resource plus links to online videos, Google Docs, and more! 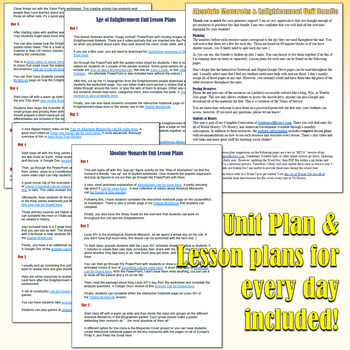 This is truly an amazing, time-saving unit with so many amazing resources all planned out for you. Check out the preview for a look at the files and some of the resources.